Use: Most dogs will love the taste of this product, and after a few days of use will come running when they see you pick up this bottle. Follow the chart on the label indicating suggested use based upon weight of animal. Generally we recommend as a range for small dogs or cats (3 -10 lbs.) 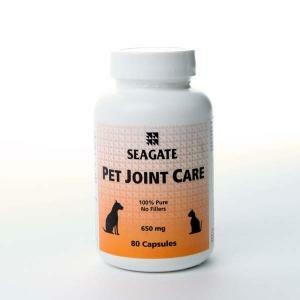 take 1 to 2 capsules per day; the larger dogs (over 100 lbs) may take 10 capsules per day. We hope that you will see improvement with your pet within 10 days of using this product.